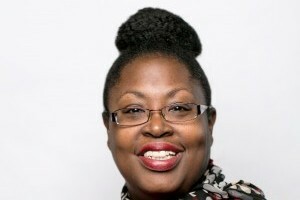 Ida Byrd-Hill first came to Xconomy’s attention in 2011 for her efforts to introduce Detroit kids to the “wild, wild world of intellectual property” through a board game called Fluke: The Wealth Building Game of Accidential Inventions. Now, Byrd-Hill is taking the same approach—teaching people about wealth through gaming—and putting a digital spin on it. Byrd-Hill has formed a new Detroit-based venture called Weyn (the Somalian word for “great,” pronounced we-in), which seeks to develop gaming apps that target people of color and immerse them in the world of intellectual property, stocks, startups, and financial analysis. Weyn’s first offering is a mobile game called My Jewel Empire, which Byrd-Hill said has some similarities to Candy Crush but with a twist: users will be able to turn the jewels they collect into virtual currency that can then be used to purchase businesses, thereby mimicking real-world wealth-building. Byrd-Hill feels this is a short-sighted strategy on the part of advisors. After all, she pointed out, how do they know who will go on to be financially successful as they progress through adulthood? My Jewel Empire users will be able to establish relationships with financial advisors if they choose, or opt out of having their information shared if they prefer. The way people manage their wealth is something Byrd-Hill is keenly interested in after spending more than a decade of her early career as an investment advisor before leaving the industry to focus on raising her kids. “People forget I spent 15 years as a wealth manager—I know that game,” she said. “I had 2,200 clients and I worked my buns off.” Byrd-Hill sees a strong potential market for her financial education game among people of color who are also tech enthusiasts. For those who haven’t seen it, Empire chronicles the trials and tribulations of the Lyons family, which rose up from hardscrabble circumstances to become the owners of a highly successful record label and entertainment conglomerate that is on the precipice of an initial public offering —but only if the family’s assorted conflicts don’t derail the whole company. “The family conquered Hollywood, Silicon Valley, and now Wall Street. We as black people can’t get a toehold, so we’re going to force the system to change like Empire did in Hollywood,” Byrd-Hill said, referring to how taken aback Hollywood’s old guard seemed by the runaway success of Empire and how that success has led casting directors on other shows to be more inclusive. Byrd-Hill offers some statistics that show exactly how powerful consumers of color are: According to the Pew Research Center, 38 percent of mobile gaming revenue comes from African American players, as opposed to 26 percent from white players. Latinos contribute 21 percent of mobile gaming revenues. Data from the Entertainment Software Association shows 48 percent of gamers are women with an average age of 31—and often, these women are moms who control household purchasing decisions. Statista Research found that the global mobile gaming market exceeded $21 billion in 2014. People of color—African, Arabic, Asian, Latino, and East Indian, Byrd-Hill said—are estimated to generate 64 percent of the mobile gaming revenue domestically and 66 percent of the revenue worldwide. Despite those numbers, only 4 percent of the characters in video games are women or people of color and often, she said, those characters paint a negative stereotype of this underserved market. Byrd-Hill is eager to go after the African gaming market because she feels it’s low-hanging fruit: Though nearly everyone in Africa has a cell phone, there aren’t many companies targeting African mobile gamers. “We’re going to seize those markets in totality,” she said.